If you've been following my blog for a while you know I have a thing for animals. 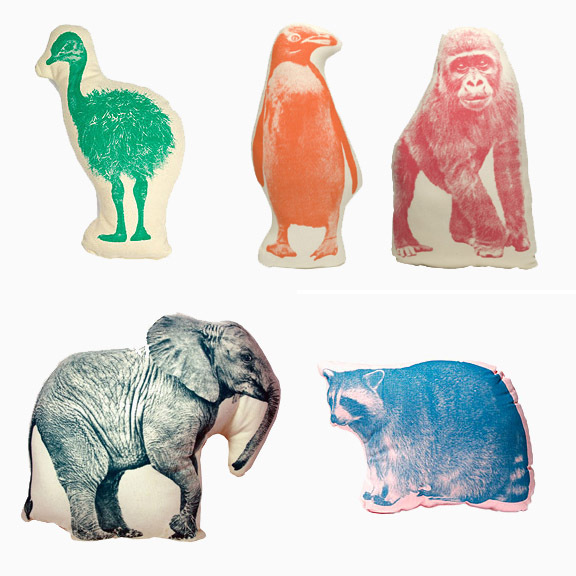 Animal art, animal decals, 3-D animal heads and now animal cushions. These Fauna pillows from Velocity Art and Design are adorable!